I came to a conclusion the other day, whilst Jesse was away... I totally couldn't be a crazy cat lady, I'd be the crazy baking lady. Whenever I'm bored or Jesse is away or I have nothing to do - I bake. I hate cats so baked goods seem like the next best thing (and puppies - always puppies). Actually that's a lie. I bake whenever I have the chance because I love it - especially in winter when it's cold and the oven warms up the entire kitchen. 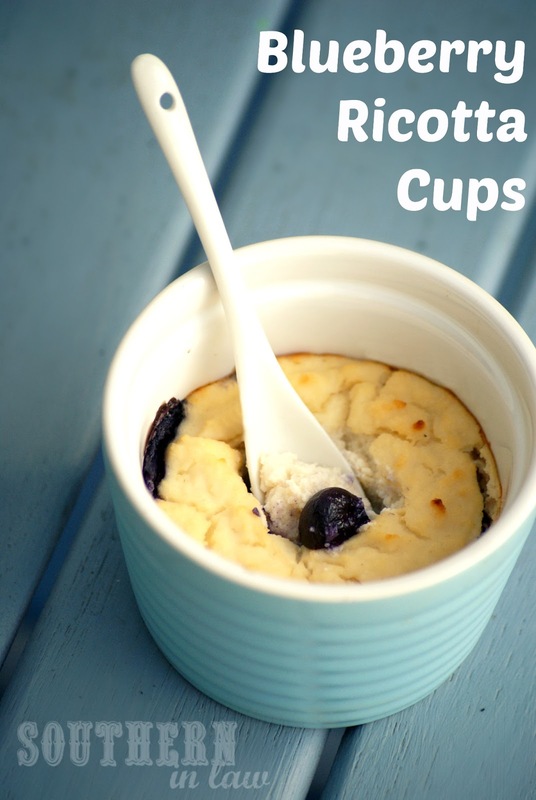 These Blueberry Ricotta cups were one of my baking successes and I've made them 3x since! They're the perfect dessert for winter as you can serve them warm - and they won't pack on that winter insulation... if you know what I mean. Best of all, they're super simple and use only a few ingredients! In a bowl, combine all of your ingredients except the blueberries. 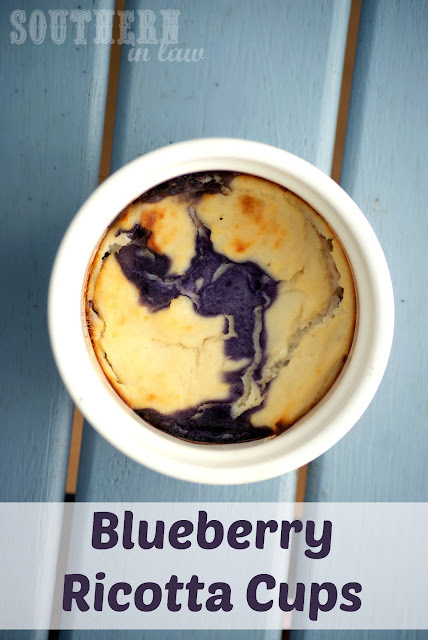 Divide the blueberries among each of the ramekins**, adding just enough to cover the bottom. Pour your ricotta mixture over the top of the blueberries. Bake until set and the ricotta starts to turn golden. Serve warm in ramekins or chill in the fridge. *If you don't want to use honey or maple syrup, try mashing a banana and adding it instead - deeeelicious. You can also use regular sugar. **I don't usually grease the ramekins as I found it doesn't make much of a difference - but feel free to do so if you prefer. So tell me, what's your favourite warm dessert? At the moment, I have three - these, my banana ricotta cups and my chocolate banana souffles. Scrum-diddly-umptious! Yum! This looks so delicious! I love all the flavors here, and the fact that it has so little sweetener is a huge draw for me. Thanks for sharing! Thanks, Lauren! You can even skip the sweetener altogether - just mash in a banana! Made this yesterday, hubby was not a fan, good thing I loved it, more for me! Almost all of us love this recipe - except my ricotta hating Mum haha. Made it for my family tonight. Used Almond flour and honey from a neighbors hive. Whole family loved it! Fantastic, Juli! I'm so glad you liked them!